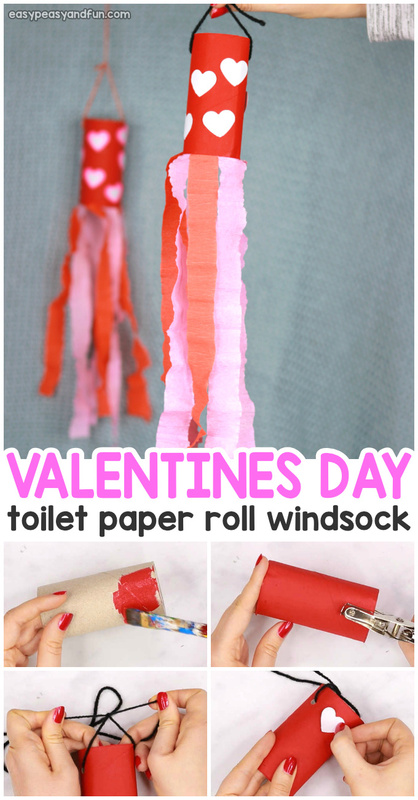 This Valentines Day Windsock Toilet Paper Roll Craft is the best Valentines day crafts you can do in your classroom or your home. 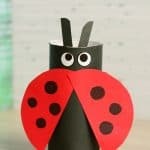 It’s cheap, it’s fun and it makes the most adorable decoration for your classroom or your home. 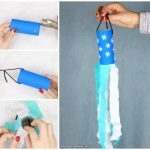 If you are looking for a Valentines day craft for kids to make, especially in the classroom, that isn’t “cheesy” you have to give this windsocks a try. 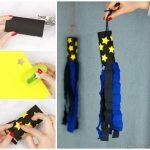 There are many ways kids can decorate them (well talk about this a bit later) and they will make the coolest little decoration for your home or classroom. 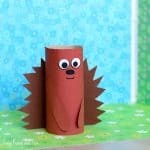 If you are making this at home, using toilet paper rolls is perfect, for classroom setting we do advise you either use paper kitchen towel rolls, store bought craft rolls or make the rolls yourself out of cardstock. 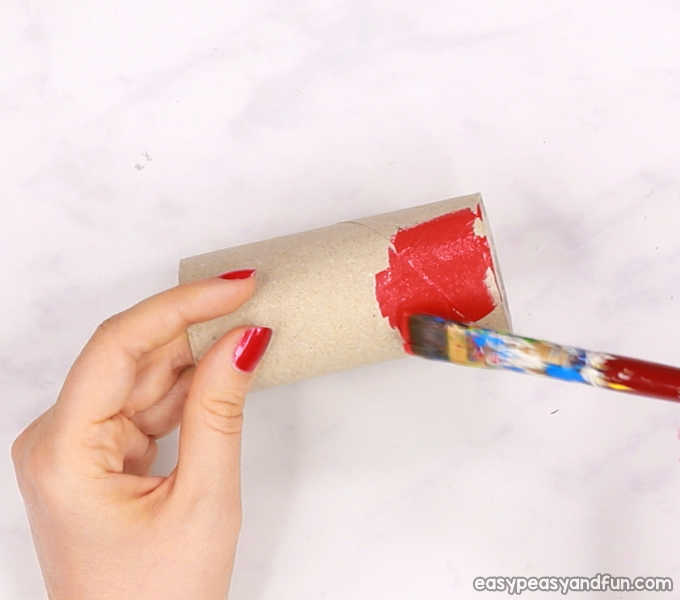 Paint the toilet paper roll red. 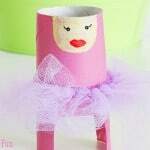 You can also paint them white, pink or any other color that you associate with this holiday. Let the paint dry completely before you move to the next step. 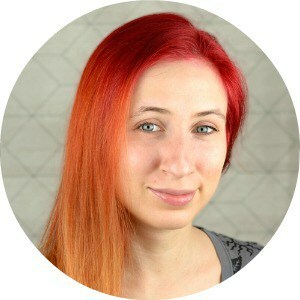 Once the paint is dry, punch two holes (one across the other) on one end of the paper roll. 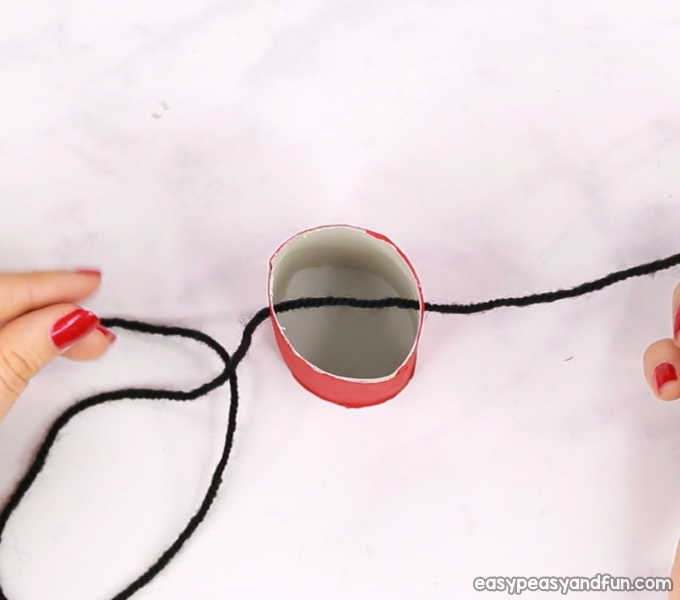 Thread yarn through both holes. Tie a knot. This makes the windsock ready for hanging. If working with paper punch, punch a couple of hearts from white (or other) print paper. 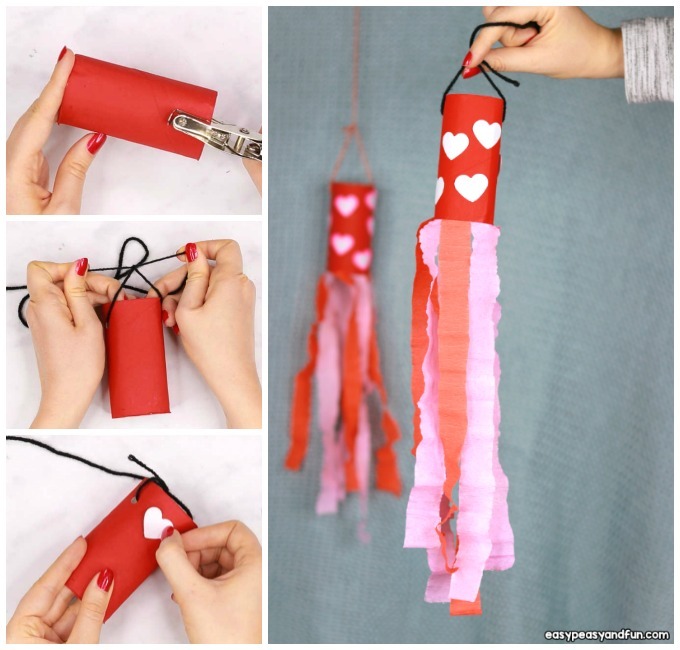 If you don’t have a paper punch, you can also have the kids draw the hearts on the paper roll, or use their thumbprints to make the hearts (this will make it super personal). 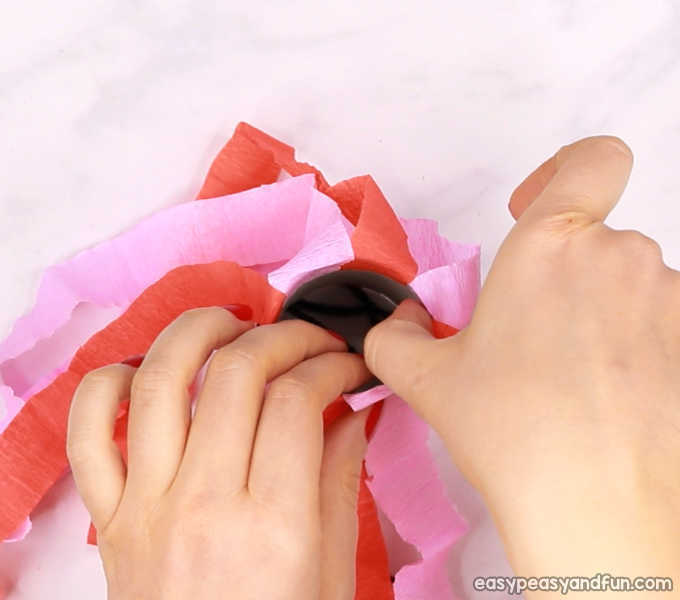 Apply glue on the hearts and stick them on the paper roll. 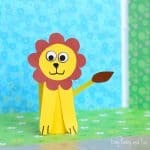 Cut long strips of tissue paper. We choose pink and red tissue paper strips for our project. 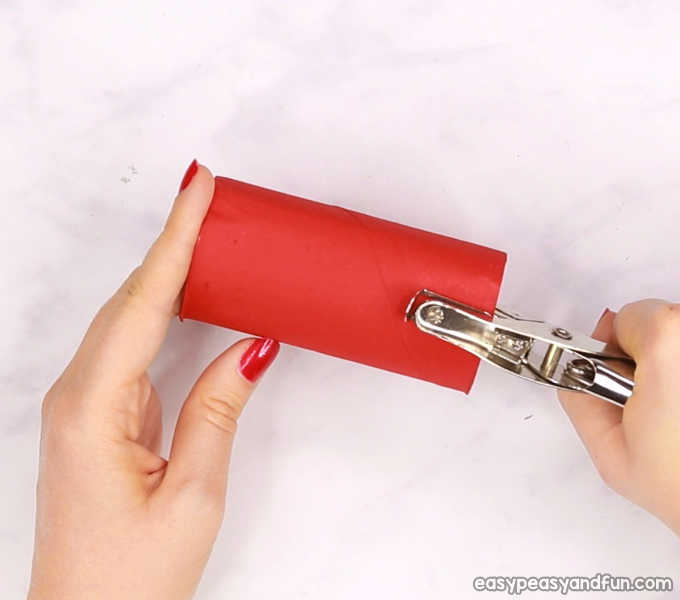 Glue them inside the paper roll (younger kids can glue them on the outside too, if they find this easier). All done! 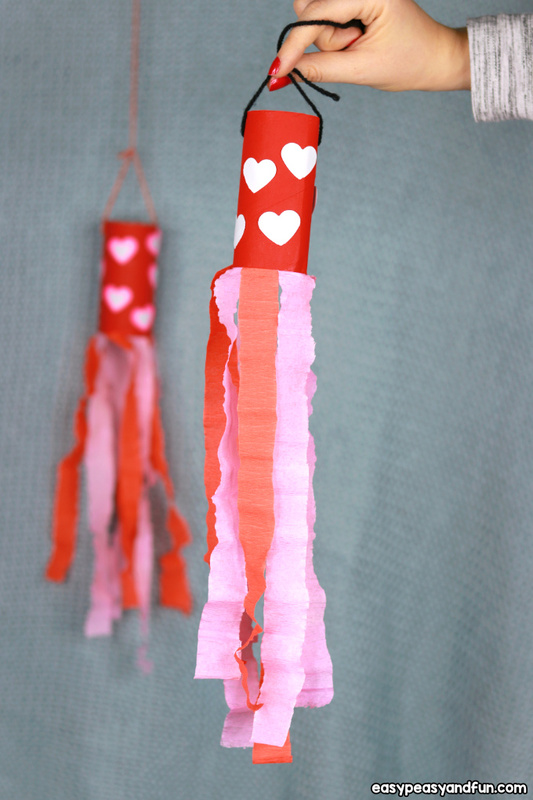 Your Valentines Day Windsock Toilet Paper Roll Craft is ready for hanging.